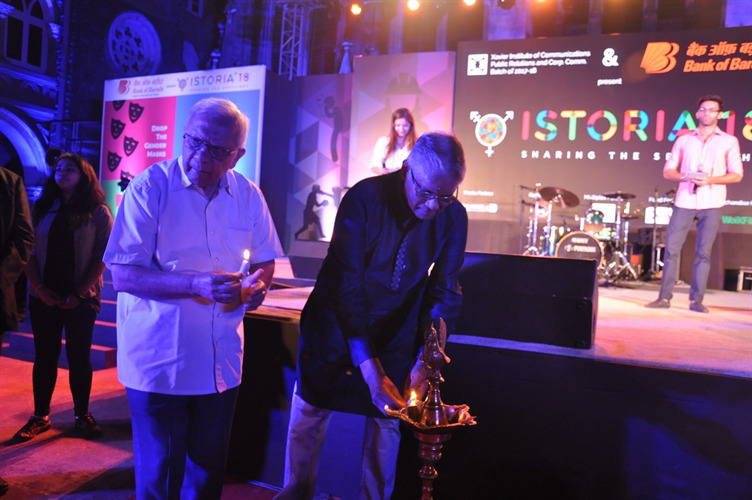 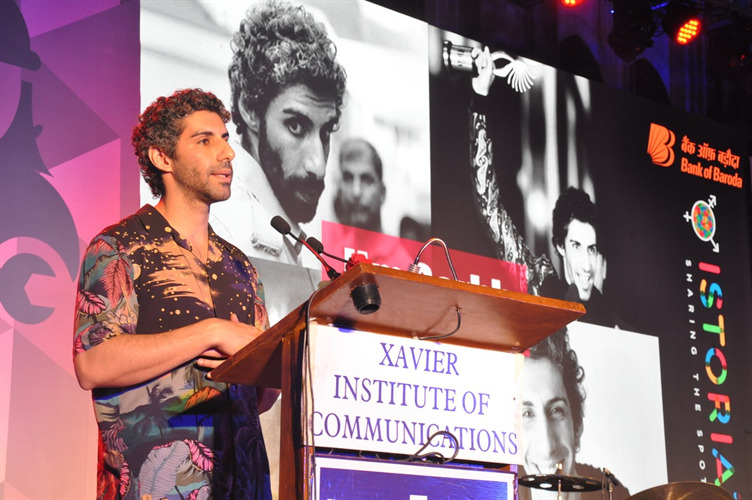 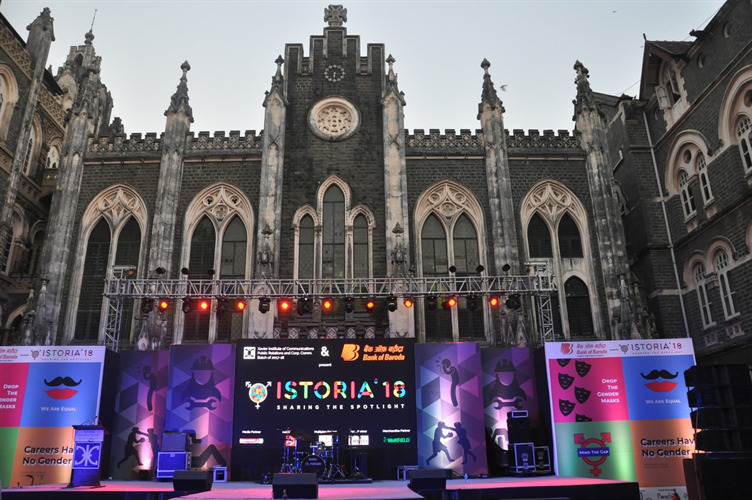 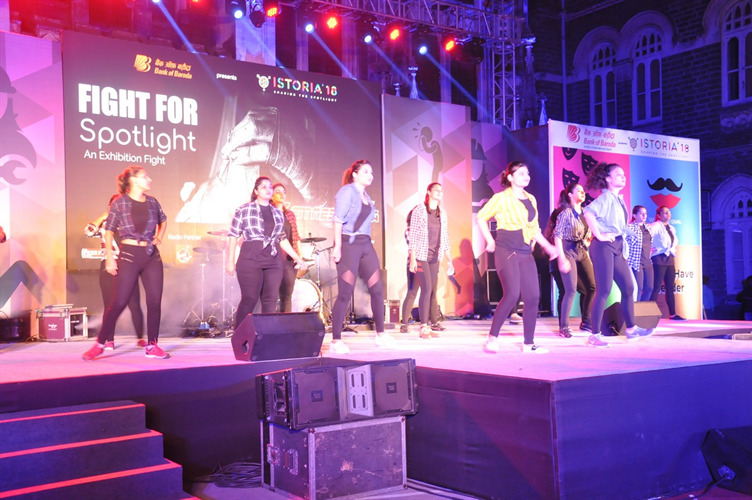 Istoria 2018 was held at St. Xavier’s College on 4thMarch, in the historic and beautiful quadrangle of the college, Xavier Institute of Communications (XIC) PR batch held their annual event with the theme #SharingTheSpotlight. 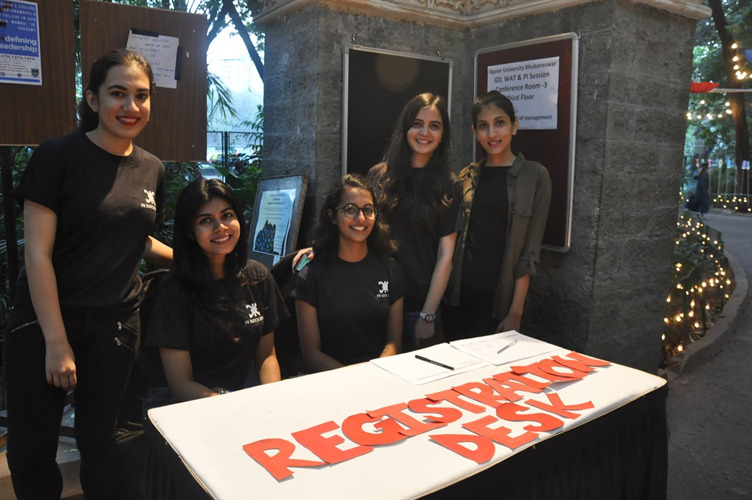 They aimed to create conversations about gender equality and breaking gender stereotypes. 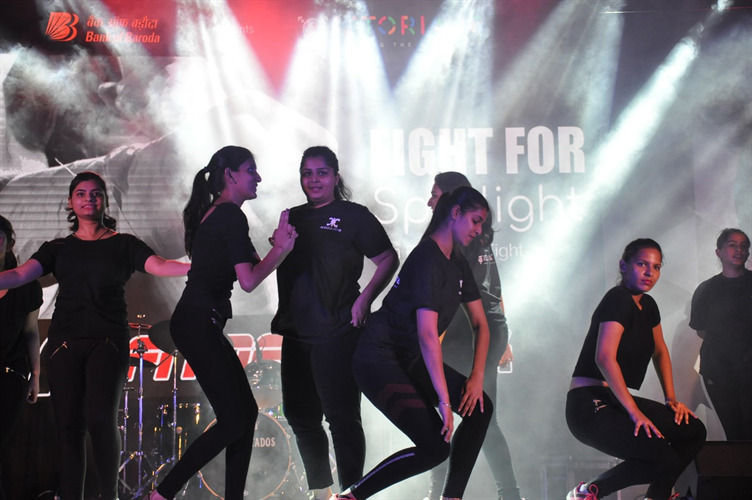 The event wouldn’t have been possible without Bank of Baroda’s commitment and support. 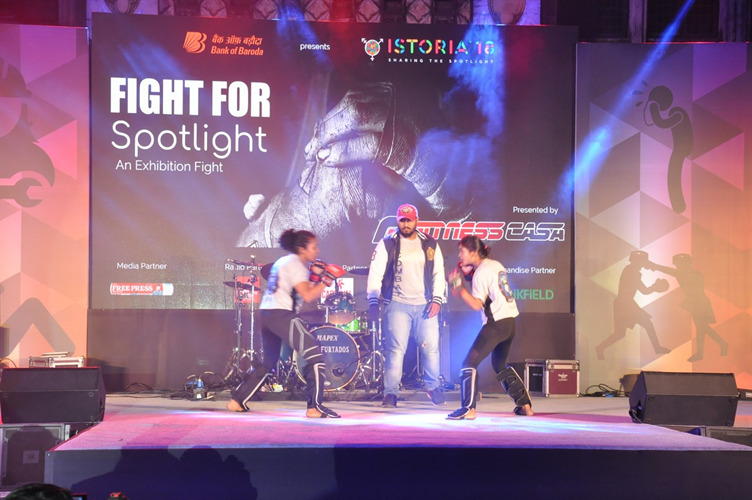 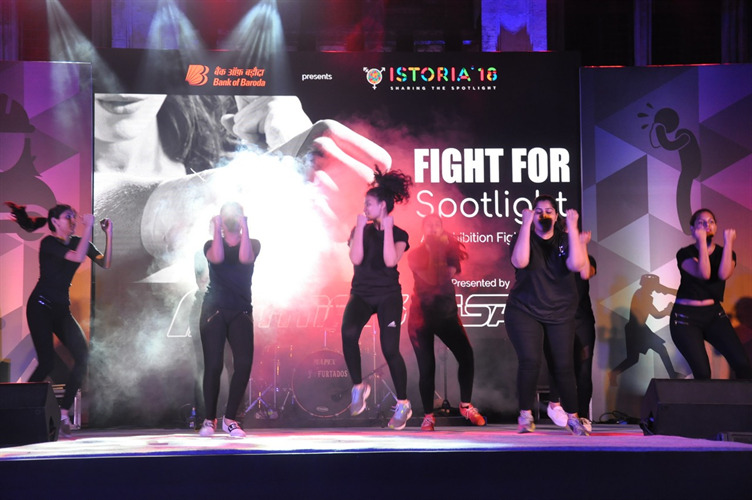 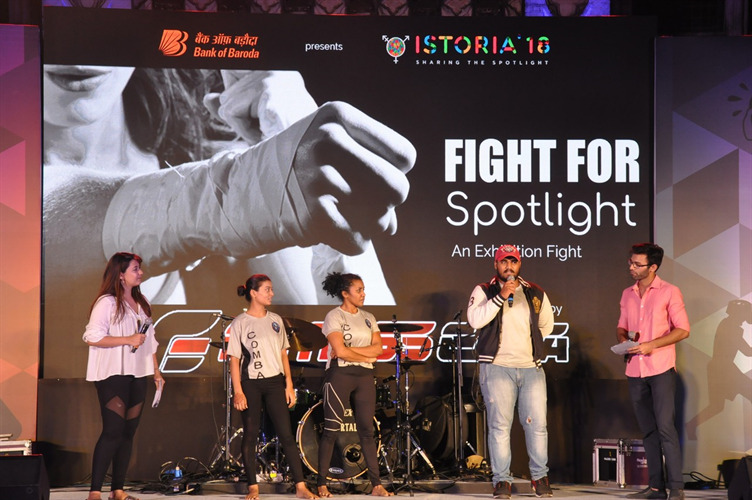 Fitness Casa fighters had an exhibition match titled ‘Fight for Spotlight’ interspersed with dance performances of students to motivate them. 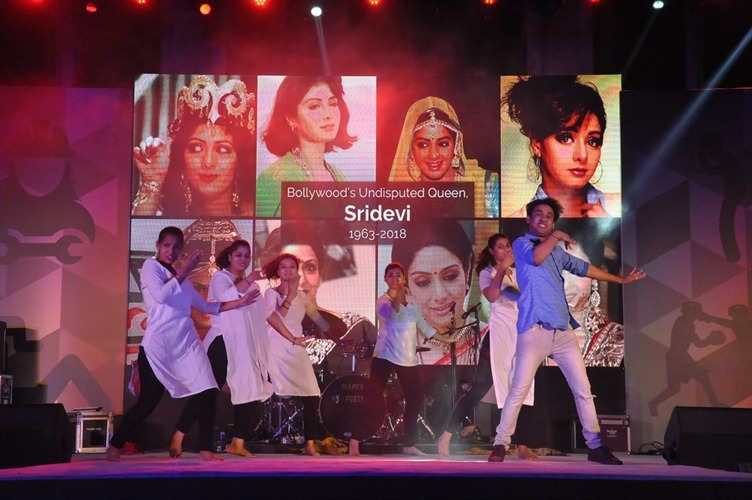 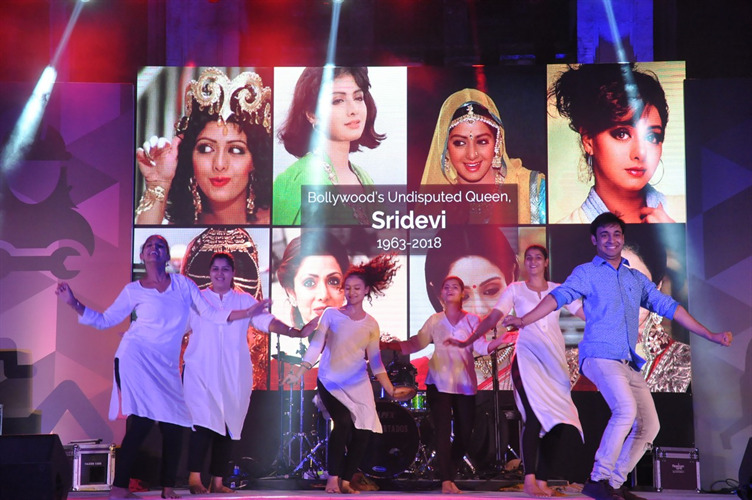 Students also paid a tribute to Sridevi by performing on some of her most famous songs such as Hawa Hawai, Chandni and Navraai majhi ladachi. 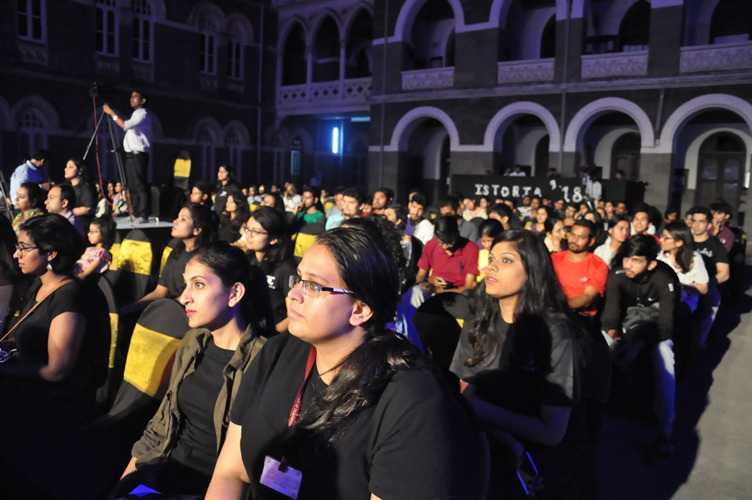 The Expresso panel discussion on gender biases in various industries. 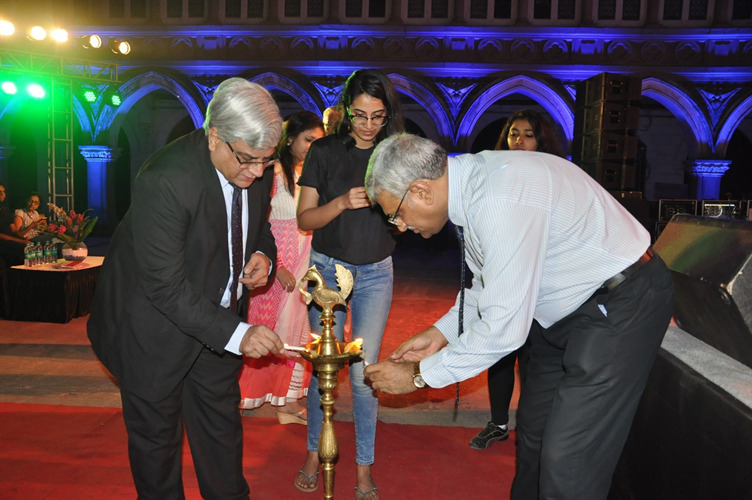 Ms Valerie Pinto, CEO, Webber Shandwick and an alumni of St Xavier’s and XIC; Ms Priya Seth, cinematographer with films like Airlift, Dhobi Ghat and Chef in her bounty; Mr Ashraf Engineer, Senior Brand Consultant, Pitchfork Partners and Nisha Jamval, Luxury Consultant, TV anchor and interior designer were on the panel and RJ Rohini Ramathan, host of ‘Jhakaas mornings’ on Radio Nasha 91.9 FM, alumni of St Xavier’s College. 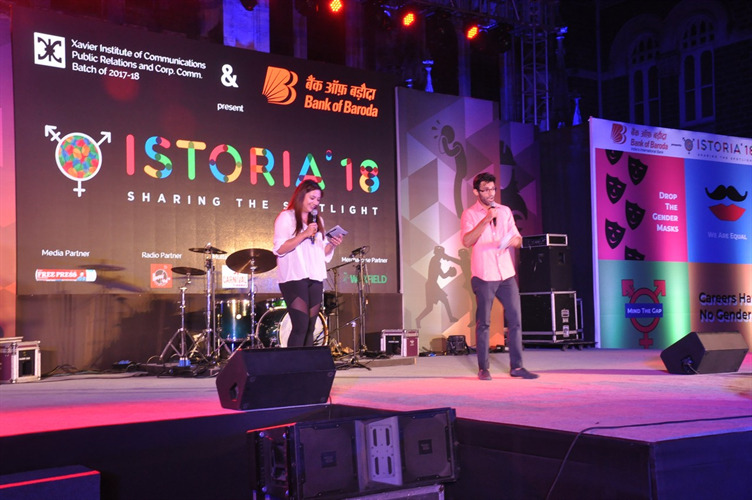 The Evening came to a close with ‘Aankh Micholi’ a hard-folk fusion band enthralling the audience with soulful and upbeat music. 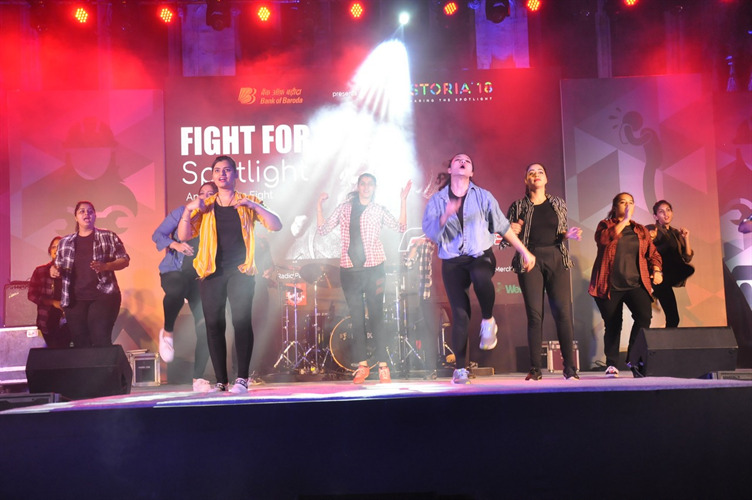 It left the audience wanting for more.